Should I Use a Personal Line of Credit to Fund My Business? Are you considering opening a personal line of credit to fund your business? Starting a new business or expanding an existing one can be an overwhelming and expensive process. Many business owners find it difficult and frustrating to get business loans and business specific financing, in today’s economy is it hard to come by – especially for businesses that are just starting out. When it comes time for people to borrow money, there are many choices available. You can go to a bank for a traditional fixed or variable-rate loan, turn to pawnshops or payday lenders (although neither is a good idea apart from the direst of circumstances), use credit cards, borrow from friends or family, or even turn to the web and specialized “social lending” or donation sites. Aside from turning to family and friends for funding, the first place that many business owners look is to getting personal loans or lines of credit. Not surprisingly, over 50% of business owners utilize their own personal credit cards for business expenses. Unfortunately, this puts your personal credit at risk and comes with a high-interest rate. So what about a personal loan? They are difficult to get, and maybe for higher amounts than your business actually needs, why borrow more than you require? But, there is another option available – a personal line of credit. This type of credit line is an unsecured loan from a financial institution such as a bank or credit union. What makes this type of loan more desirable for business use than a traditional bank loan is that it works like a revolving account — meaning that it can be borrowed against at any time without having to reapply. While the interest is higher than traditional mortgages or home equity lines, it still is a much more affordable option than the high-interest rate of a personal credit card. A personal line of credit is a type of loan that you use a credit card account. It is written for a certain dollar amount that you cannot exceed and you can access via checks, transfers to your personal account, or debit cards. Like a credit card account, you have a credit limit, receive a monthly bill, and have to make at least a minimum payment. You will only pay interest on your outstanding balance not the entire line amount, and possibly pay a fee each time you use the account. Personal lines of credit are unsecured, unlike Home Equity Lines Of Credit (HELOCs), which are backed by a mortgage on your home. While you might get more money from a home equity line, you probably don’t want to put your home on the line for your business. A personal credit line addresses the fact that banks don’t want to be in the business of underwriting a number of one-time personal loans, particularly unsecured loans, for most customers. Likewise, it is not economical for a borrower to take out a loan every month or two, repay it, and then continue the cycle. Lines of credit answer both of these issues by making a specified amount of money available. 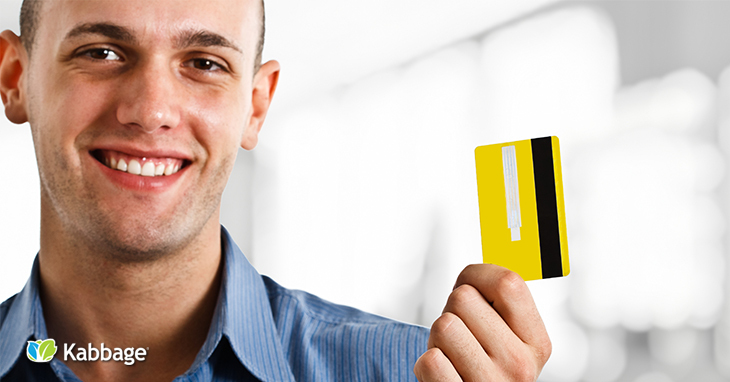 It is quite common to compare a line of credit versus credit card. To access the line, you will typically receive a debit card or books of checks that allow you to draw from the credit line. When you need funds to cover a business expense or make a business purchase, you just use your card or write a check for only the amount that you need. Once a month, just like a credit card, you will receive a bill from your lender. The interest charge and minimum monthly payment is calculated based on the outstanding balance of the line of credit. The line is a revolving credit line, so as you pay down or pay off the outstanding balance, the line is available for use again. This type of financing can be beneficial to you because if never use the line, then they do not pay any interest or make any payments on it, but it can help your credit score. If you do use your line, you only have to draw exactly the amount you need to use and you are only charged interest on the amount that you use. Unlike a loan where you receive the lump sum up front and you pay off the entire amount monthly whether or not you “used” the entire amount. Why Should I Use a Personal Line of Credit? Well, there are probably more reasons why not to use a personal line of credit to fund your business, but for a business owner trying to jump start his business, make it through a slump, or spur growth – the rewards will hopefully outweigh the risks. Like oil and water, business and personal assets are really two things that don’t mix well. That is especially true if your business is a corporation. Using a personal line of credit for a corporation mixes personal and business assets. This could invalidate your corporate status. If you want to use a personal loan, it is best to use the person as a guarantor on a business loan. That way, you can keep personal and business assets separate. If a shareholder is using a personal loan to fund his/her initial shares of stock, the shareholder should pay back the personal loan; NOT the corporation. Think of how it works with Google stock. If you borrow money for 10 shares of Google stock, you pay the loan back – you don’t expect Google to pay the loan for you. Ok, so you are not a corporation, and you need to get some money injected into your business fast. Well, that is one good thing about this type of personal funding, it’s relatively quick. Rather than racking up debt on high-interest credit cards or using the equity in your home, you can get the funds you need quickly with a personal line of credit or loan. Many banks offer applications online and can have you approved and accessing your funds on the same business day. There also are not many additional fees associated with a personal line of credit. When looking at credit options, you want to focus on the ones that will cost you the least amount of money. Who wants to pay money to borrow money? It just makes good business sense. Personal credit lines are usually free of application costs, annual fees, and pre-payment penalties. Because do you really want to be penalized for actually paying the money back before you have to? These credit lines are also unsecured. Great thing since you are already putting your personal credit at risk, you don’t have to put up collateral as well. You won’t be required to put up your home, business, or stock holdings to qualify for the loan. What Should I Use a Personal Credit Line For? There are, of course, the things that you want to use your credit line for, and things that you should use your credit line for. Your bank will tell you then you can use it for just about anything, and that is absolutely true. Once you have the line established, what you use it for is your business as long as you pay the money back. But, if you are risking your personal credit score for your business, you should really use the money for something that is one, essential, and two, can be repaid quickly. You want to be able to get your line repaid quickly so it is fully funded and ready to be drawn on again when you need it. In the best case scenario, you should be drawing money to use on revenue-generating activities (RGA). Make sure a good percentage of that credit line is used to generate additional revenue to grow your business. Reason being, you need more money to pay back that money! It is absolutely true that it takes money to make money. Make good use of the money when you draw it. Have you wanted to spend a little more on marketing activities, or a television or radio ad campaign? Your credit line would be perfect for that. Additional marketing and advertising can bring your opportunities and clients like you never had before, and marketing is one of the activities that many businesses skimp on when times are tough. Another short-term effort that offers a high rate of return is participating in trade shows. Again, you are building your brand exposure and developing key relationships. Although the cost of being in a trade show is high, the rewards could really help your business take off! Good thing that the costs of participating in and traveling to trade shows can definitely be paid for with your credit line! Other wins for using your line would be some putting in place some long-term efforts to help your business. It would be the perfect time to review and build your brand with the help of an agency or jump into the social media arena. Both will take some time and money but are great for business. Of course, there will be some hiccups for your business along the way, and you may need immediate access to funds. Maybe someone was slow to pay your business this month and you can’t make payroll. It’s critical you pay your employees, so drawing on your line of credit is perfectly acceptable! Just be sure to go after that slow paying customer and pay yourself back when you get the money. And of course every business will have peaks and valleys. Your credit line is perfect to help you in the slow months. You may not want to exhaust funds that your business has for the month for additional inventory or a higher than normal bill, you line will give you the breathing room that you need. For new business owners that are starting out, another example would be to give yourself a small salary for a few months while you transition into a more full-time role in the business or to pay yourself back from monies you already spent on the business. The first months and years of a business are difficult, and you may be working multiple jobs to make ends meet. Use your credit line to help you jump feet first, and be 100% vested in making your business work. Your personal credit is an asset to you and to your business, don’t make it a liability. It truly is an asset, preserve it and maintain it – and use it the proper way. Revolving credit can be a benefit to business owners in many ways when it’s used within certain contexts and for a specific purpose. But there are also many ways that the flexibility of “buy now and pay later” can trap business owners and take a toll on your personal credit and potentially your life. Revolving credit must be used wisely, and as a business owner, you need to have knowledge of how a line of credit works and the risks associated with this type of personal financing. A personal line of credit is much like any financial product – neither inherently good nor bad, it all comes down to how you actually use them. Any amount of excessive borrowing against your line can get you into the same amount of financial woes as borrowing with credit cards, or taking out a loan you really can’t afford (although the banks says you can). A line of credit can also be very cost-effective solution to month-to-month financial fluctuations or helping to fund a large or complicated transaction such as a new product or office remodeling. As is the case with any loan, you should always pay careful attention to the terms and details including the fees, interest rates and repayment schedule. So, shop around and don’t be afraid to ask plenty of questions before signing on the dotted line.